Atlanta Children's Carnival and Pan In the Park 2015 | ComeSeeTv Broadcast Network ... Can you See me Now! 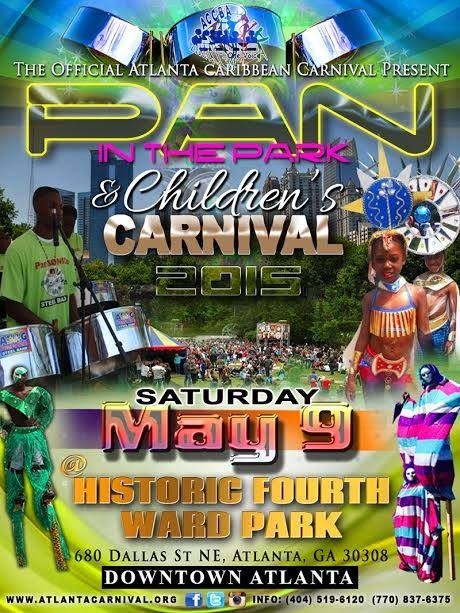 The Official Atlanta Caribbean Carnival present Children's Carnival and Pan In the Park on Saturday, May 9th from 4pm to 9pm at Historic Fourth Ward Park Downtown Atlanta. Come out and see the kids parade in their beautiful costumes and hear sweet steel pan music from Pansonics steel band. Their will be performance by many talented kids. It is a FREE EVENT bring out the entire family and your lawn chairs. This event will be hosted by Ulato Sam see you there!!!!!!! !